So you are on vacation and want to view a few properties….now what? 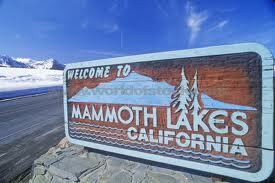 It is the last day of your vacation and you and your family have enjoyed your time in Mammoth Lakes California. You decide you might want to buy a vacation home here so you stop by one of the local real estate offices on the way out of town and see if someone can show you a few properties before you leave. Sounds reasonable, right? Well since this is a resort town, it is important to know it is not as easy as it may sound. Since you are here on vacation, chances are occupancy is pretty high with other vacationers and there might be a limited number of properties you can view. After narrowing down your interests, the agent will need to view the notes on each listing and contact the property management company to check availability. In addition, many of the listed properties are on vacation rental programs and as such do not have lock-boxes (to prevent walk-ins on paying renters). What this means is that in many cases the agent has to drive to multiple locations to pick up the various keys for the available properties. While all of this is possible and done numerous times each week, it is not the perfect scenario. Most agents will agree that a call at least a day ahead can save everyone time and hopefully maximize the time spent viewing properties. Given a little time the agent can do the leg work in advance and still have time to prepare for the tour with custom materials for your review. In the end planning ahead will be a better use of your time and help get you one step closer to making your second home a reality.